Marine biologists have raised concerns about the whereabouts of the world’s biggest whale sharks after finding that the largest sharks observed in recent years were smaller than those recorded more than a decade ago. Dr Ana Sequeira of The University of Western Australia’s Oceans Institute, who led the study, said it was important to know the size of whale sharks because it provided information about their population status. However, it’s difficult to obtain accurate size estimates as this needs to be done while they are freely swimming. 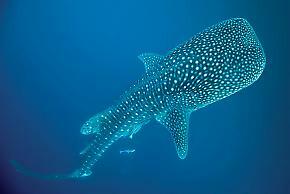 Study co-author Dr Mark Meekan of the Australian Institute of Marine Science said that, apart from groups of large females reported at two locations in the eastern Pacific Ocean, there was a lack of adult whale shark sightings around the world. 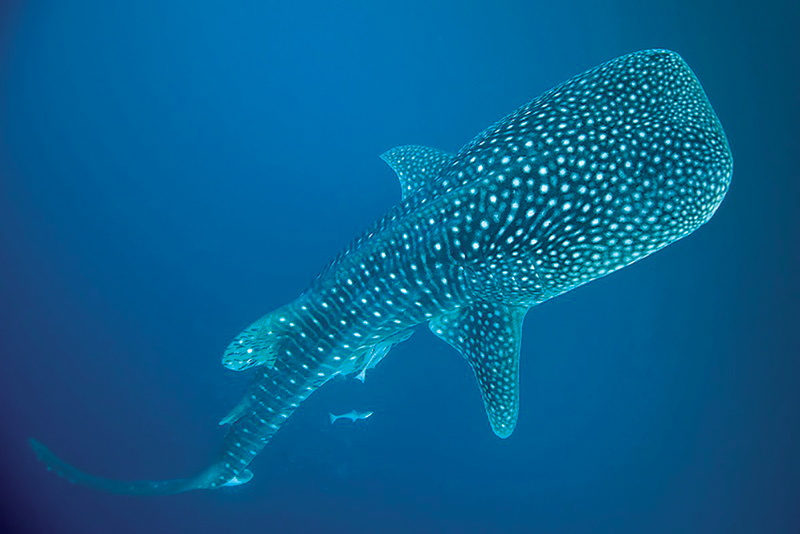 “Co-occurrence of adult males and females ensures the survival of a species, so not knowing the whereabouts of adult whale sharks and how many still exist presents a challenge for understanding their conservation status,” he said. Meekan said that more research is needed to help locate large whale sharks and to clarify the number of mature animals still in existence. “Understanding the whereabouts of the biggest whale sharks will also help us understand how human activity such as industrial developments, fisheries and boat strike might impact the animals,” he said.